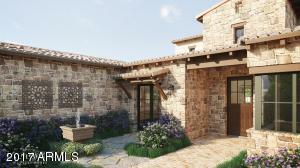 Cantabrica homes for sale is a small, private, gated community in North Scottsdale. It includes nine luxury custom home lots. Cantabrica is also close to several shopping and dining venues. Mastros Steakhouse, Michael’s at the Citadel and Morton’s Steakhouse are just a few. Enjoy the prestige of living in Troon Village.